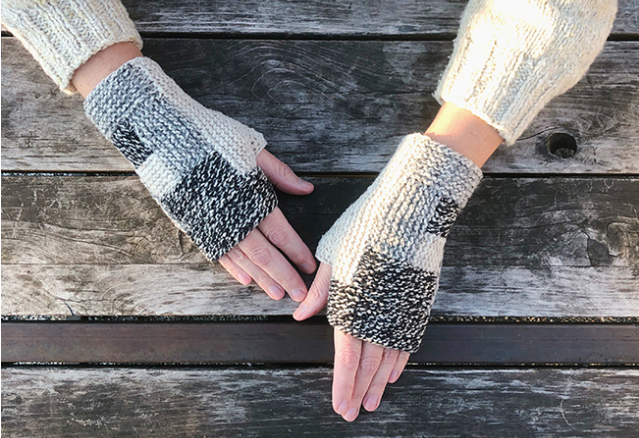 In this 2 part class we'll be knitting a great first project - Karen Templer's Log Cabin Mitts! This is a fun class to utilize your beginner knitting skills while learning about a fun construction technique! You'll learn to read a pattern, pick up stitches, build a thumb gusset, and seam. Students are encouraged to take our Beginner Knitting Class ahead of this class. If you have questions about whether or not you have the knitting skills to take this class just email me at store@knit1chgo.com. Class fee of $70 includes yarn and needles. 10% of the class fees from this class will be donated to Deborah's Place. Please note what session you're signing up for when you check out. Thanks!